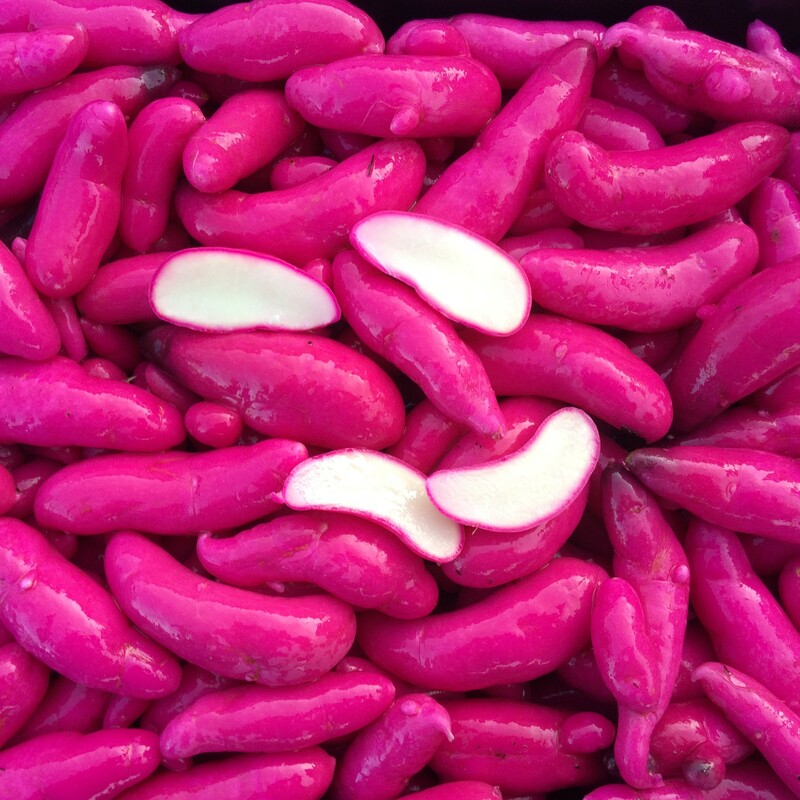 Queets is an amazing looking ulluco, with long pink/purple tubers that look almost fluorescent with freshly dug. We had several accusations of Photoshopping the image after first posting it on Facebook, but the pictures are as true to life as my camera can capture. Flesh is white and this makes a great salad variety when sliced thinly. Harvest was almost 2 pounds per plant in 2016, which puts it among the top 10% of varieties by yield. Mild, with very little beet flavor. 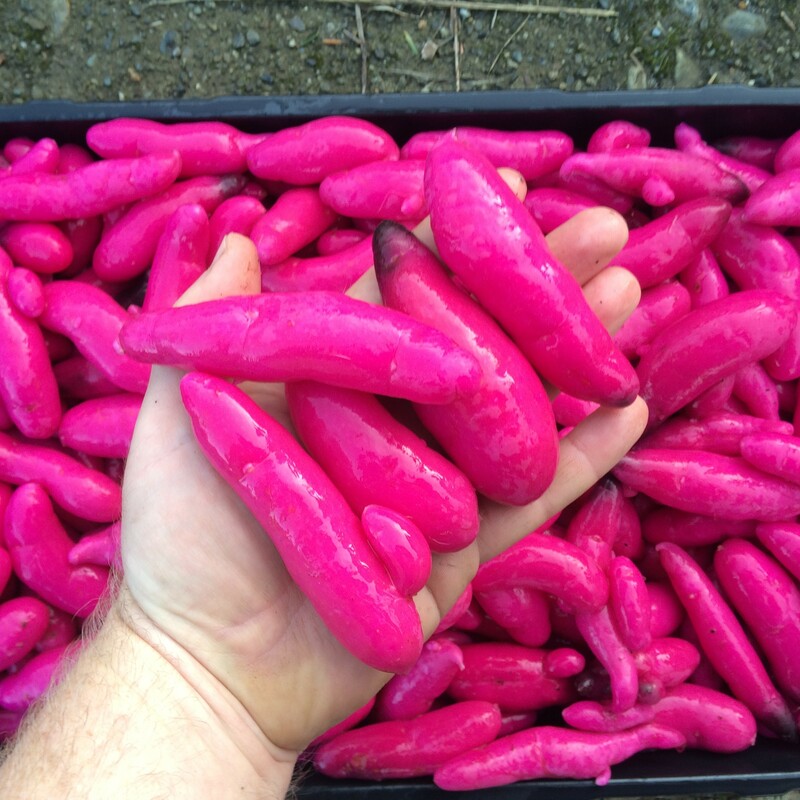 The tubers can be quite large for ulluco, reaching as much as six inches in length, but this is not an early variety, so you need to keep them growing until the end of November to reach that size. Although some of the color washes out with cooking, as is true of all ulluco varieties, this one holds color fairly well. It remains red and the flesh even darkens from white to red with moderate cooking time.